More than one million men had a cosmetic dermatology procedure last year, up more than 50% from 2004. The social stigma that used to be attached to having an appearance-related procedure has been replaced with the desire to look and feel better in our youth-oriented culture. And, thankfully, advancements in the field of dermatology have delivered. 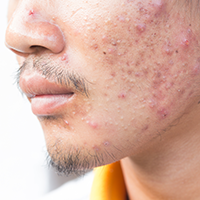 Men’s skin concerns are similar, but not entirely the same as women’s. Men tend to be much more lackadaisical about sun protection and often have more serious sun damage than women (causing premature aging of the skin). 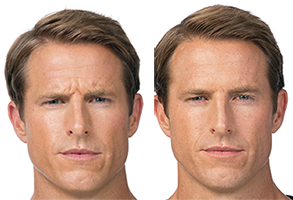 And while women are more specific in their goals about their facial skin (e.g., eliminate crow’s feet or even out skin tone), most men say they just want to look more rested and more relaxed. Whatever your concern, we encourage you to come in for a consultation to determine what type of cosmetic dermatology procedure would work best for you.